Find Your Library In Unexpected Places! The Turner Free Library in Randolph, MA received a PIKinc Library Lending Machine in December of 2018. 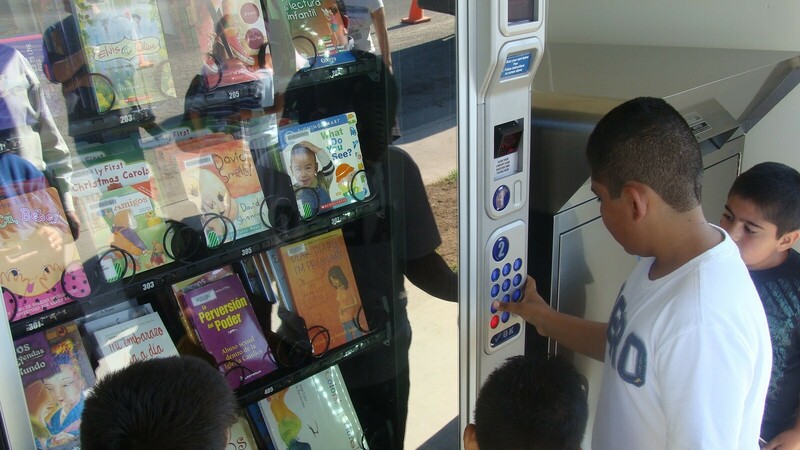 The Lending Library with the Hotspot Touchpac has been installed in a Recreation Center to better reach patrons at their convenience. They made this live action video post to show their patrons how simple and easy it is to use the vending machine. Turner Free Library has gotten lots of great feedback on installing the machine. 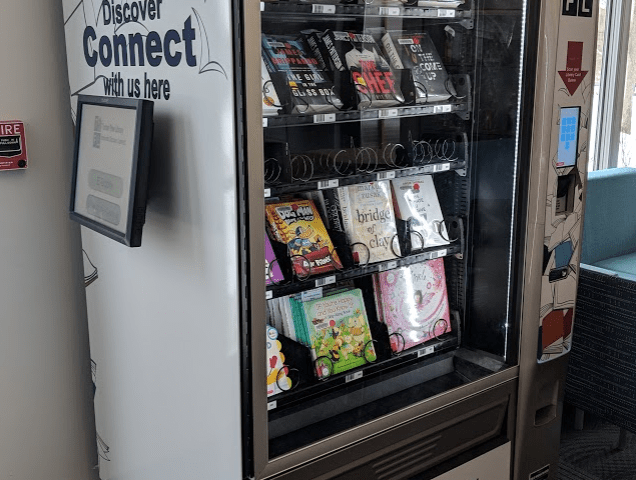 The Lending Library has the capacity to hold up to 500 items for patrons to checkout and then return to the main library branch when finished with it. PIKinc Media Box has more checkouts than any other in the country! A PIKinc Media box installed in the Paul Sawyier Library in Frankfurt, KY has more checkouts than any other library media box in the country. This machine was a second one for them and was part of the expansion they completed in the Spring of 2018. The media box allows people to check out movies and games all in one location. Usually, the library will put the newest movies and games in the media box to keep them safe. 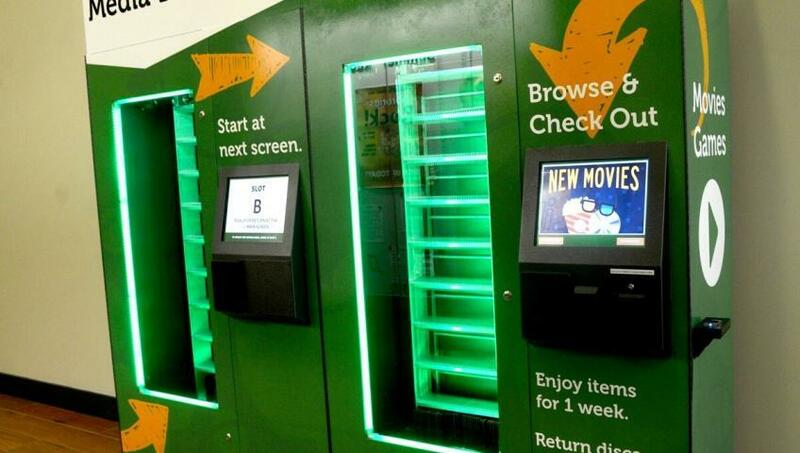 On average, 3,689 items are checked out a month at the movie box.The library lending machine has over 300 items moving in and out of the machine per day, surpassing Redbox at an maximum of 65 items per day. Click here to see how our PIKinc leading edge solutions will work for you. Cutler Book Machine Sends Out 300 Books, Adds 200 Library Cards In One Day! 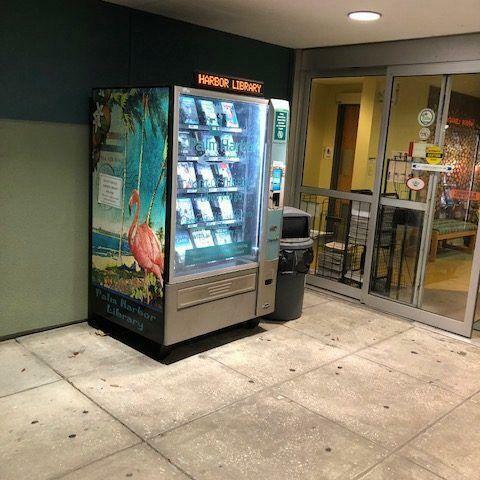 This library is gathering no dust with their new Brodart Library Vending Machine. 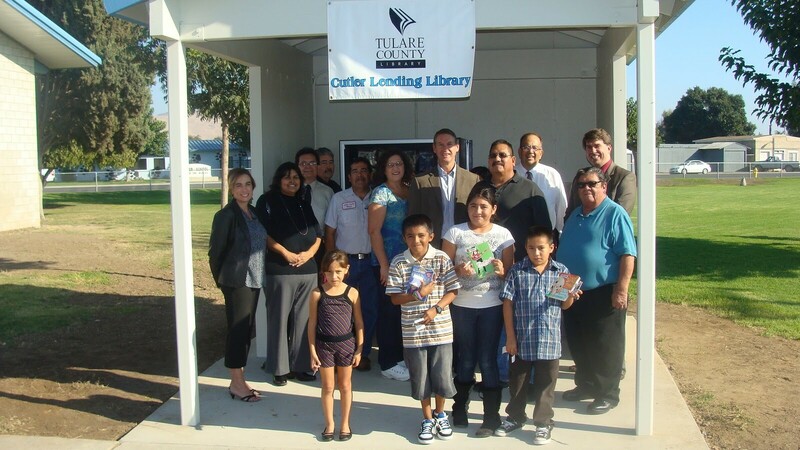 This Lending Library is wonderfully located across the street from a school in Tulare County, CA and is on the kids’ way home. On day one, there were kids streaming in from everywhere excited about the machine. There were about 300 kids at the grand opening event and 200 of them signed up for new library cards. This is an area where 60% of the population does not have a high school education and 80% are mono-lingual Spanish speakers. There was a whole row of books gone in under an hour and the machine was empty by end of the day. That’s 300 books in one day and by the end of the week, they knew they would have to restock the machine three times a week. 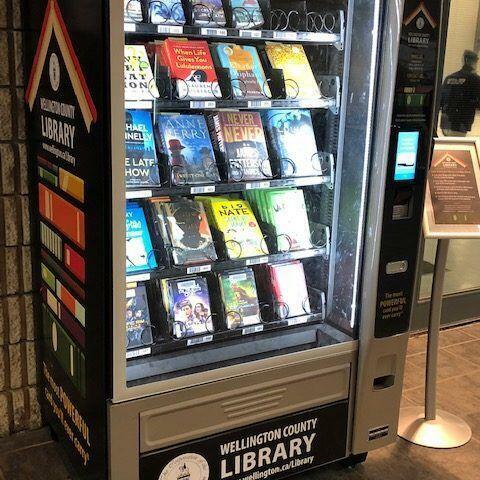 This library is changing lives!